What Does Gubbing Mean and Can You Avoid It? Home Matched Betting What Does Gubbing Mean and Can You Avoid It? Gambling is something that bookmakers want you to do on their terms. They certainly won’t be happy if you work out a better way of betting. In facted they will give you the gubbing stick at the drop of a hat! Of course, once you find out about fantastic ideas such as matched betting you will be keen to get started. The odds will now be firmly weighted in your favour. You will be taking all the risk out of betting in this way. Matched betting is completely legal, so you don’t need to worry about falling foul of the law. However, there are still some issues that you need to be aware of. The bookies won’t be happy if they see you taking money off them regularly, though. 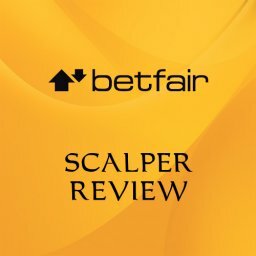 If all of their punters used matched betting techniques then they would soon be out of business. You are basically giving yourself an unfair advantage over the bookies. They don’t like that. What can they do about it? The truth is that you could happily use matched betting for years. Many people carry on winning time after time without any problems. However, what if you get unlucky and the bookmaker sees what you are doing? In this case, the risk that you will need to avoid is that of gubbing. In fact, this is one of the few problems that could spoil your gambling fun. You might also see the words gubbed or gubbing use to describe this situation. It is the same thing, really. So, what is it and how can you steer clear of it? By understanding more about this term you will feel far more confident of it not happening. Gubbing is a word used to describe what happens when a bookie limits your account. If you get gubbed then you won’t be able to bet as freely as you did before. You may suffer any one of a number of restrictions if this happens. The bookmaker might stop you taking advantage of their promotions. 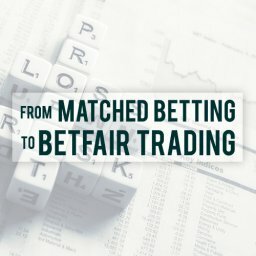 This is a common result for anyone regularly winning on matched betting techniques. This would obviously pretty much put an end to your matched betting with them. Since you are heavily dependent upon offers and free bets, the lack of them is crippling. Alternatively, they might just limit the amount of money that you can bet with them. In this case, things aren’t quite so bad. Yet, it is going to severely restrict your chances of making money from them. If you can only place very small stakes then winning big is almost impossible. The full benefits of matched betting will elude you in either of these cases. Getting gubbed by one bookie is tough. However, there are plenty of other bookies out, right? At this point, it is worth considering that maybe you are doing something wrong. If you run into problems with one company then it might happen again with others. If you get gubbed by several bookies then matched betting is going to be extremely difficult to do. It may even get to the stage in which it is virtually impossible. Therefore, you need to avoid this on as many of your accounts as possible. 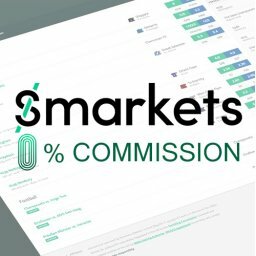 Keeping all of your accounts in a good operating state is your main challenge with matched betting. Do this, follow the instructions and you simply can’t go wrong. But what if the worst happens? How will you realise that you have been gubbed? For a start, you should know that the bookmaker won’t use this term. They will use other words but the end result is gubbing any way you look at it. It is likely that they tell you about this in an email. The gubbing will take place with immediate effect. This is a tough blow to take but it doesn’t automatically mean the end for your betting profits. First of all, we need to look into the matter a bit further, to see what it is all about. Why Do Bookmakers Gub Accounts? You may never find out exactly why your account was gubbed. Was there a certain wager that drew attention you? Or maybe it was the cumulative effect of all of the bets that you have placed and won with? The bookmaker certainly won’t tell you exactly what they spotted. They keep a close eye on all of their accounts, though. If they spot that a punter is making too much money off them they won’t be shy in gubbing them. If you have been using matched betting tactics then it is possible that something drew their attention to you. This is an area that the bookies take great care in looking at. 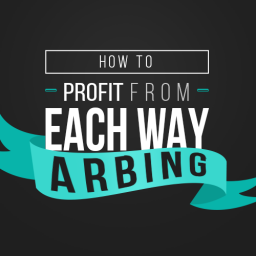 After all, matched betting is one sure way of winning every time. The most common situation is that the company has noticed that you only ever use promotional offers. If you do this then you stand far more chance of being noticed. They want punters to use their offers but they expect them to bet with their own money as well. Of course, those offers are crucial to your success. 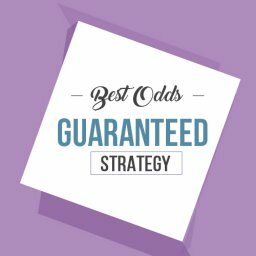 Being able to bet for free is a vital part of any matched betting strategy. However, you need to be careful to not draw attention to yourself while doing this. Another possibility is that you have been making a lot of money off one bookie. Do you win regularly and never lose anything more than the odd small amount? This will mark you out as a fairly unusual punter right away, as most people lose more than they win. Bookmakers monitor their customer accounts very closely. After all, they need to know who their most profitable customers are. This lets them see who is making them money and who is taking it from them. 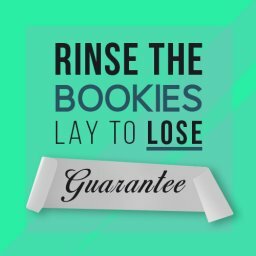 If you have been winning regularly then this is bad business for the bookie. You will also be gubbed if they spot you carrying out multi-accounting. This is also known as gnoming and it means running two accounts. You will have two accounts at one time but with slightly different personal details. This is risky and it could even be deemed as illegal. Therefore, you shouldn’t be trying multi-accounting. If you do then expect to be gubbed. It is usually pretty easy for bookies to spot this, by checking you IP address, for example. The truth is that you will probably have an idea what it was that made your account stand out. The bookie won’t confirm it but you will most likely have a gut feeling. Most importantly, you need to learn from this. If you have gone a bit overboard with free bets then you know now what happens. Therefore, you need to avoid this happening with any of your other accounts elsewhere. It is a horrible feeling to get an account gubbed. Yet, the worst thing you can do is wallow in the misery. Your matched betting career isn’t over provided that you can learn from this and stop it from happening again. One suggestion that you might see for avoiding gubbing is called mug betting. 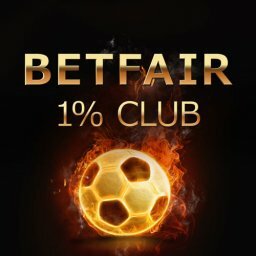 This is a system that sees you place some bets that aren’t linked to free offers. The theory is that you place some money on bets that have low odds. 2.0 or less is the commonly given level at which you should be making these bets. You would then lay them off on a betting exchange to make sure that you aren’t going to lose money. The idea is that the bookie sees you as a normal punter. Rather than winning money all the time you will sometimes lose. Of course, the idea is that you win more in the long term by losing a little in the short term. Perhaps you will start to place these bets on your favourite team or jockey. Anything that makes you look like the sort of person who bets like everyone else is the general idea here. Your account is less likely to get looked at if it looks all the rest. Lots of punters play and lose, so anyone who always wins stands out from the crowd. According to the people who use mug betting, the secret is in finding the right balance. You still want to come out ahead but you want to look normal at the same time. This is tricky to do but is it even worth it? Everyone has different experiences when it comes to gubbing. You might carry out matched betting on an account for year on end without running into any problems. On the other hand, you could find that your account is gubbed almost right away. One thing that does seem certain is that mug betting is a waste of time. The time, money and effort you put into this would be better used on something else. Mug betting to try and lower the risk gubbing simply isn’t worth it. Some people say that it helped them. But, overall the benefits don’t seem to justify the effort. You would be better pouring your efforts into making more money. Naturally, if you aren’t going to use mug betting then you will want some other way of avoiding gubbing. This is one of the biggest challenges in the long-term, and mug betting simply hasn’t been proven to be successful enough. 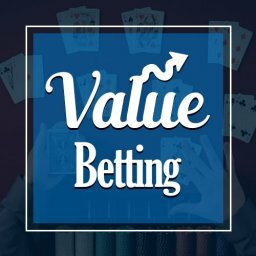 So, what else should you be looking to do to be able to carry on betting freely? 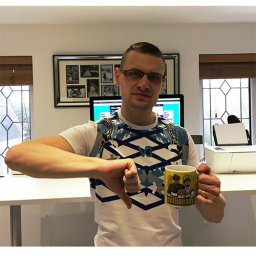 I’ve written a full piece on why mug betting is a waste of time. How Can You Avoid Getting Gubbed? If mug betting can’t help you to avoid getting gubbed then what can? After all, this is the key to carrying on profiting day after day. If you don’t get gubbed then matched betting will give you a steady, reliable income for the future. The worst thing that could happen is it gets to the stage in which you don’t have enough accounts to place bets on. Getting gubbed is annoying when it is one account but it gets worse with each account that is affected. Ideally, you will make smart decisions from day one on your accounts. Try and look at your account from the bookie’s point of view. Are they likely to get suspicious because you are regularly taking money off them? 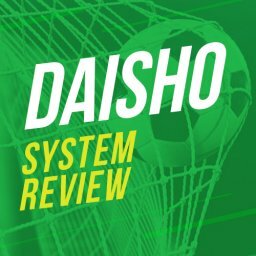 The best approach is to switch between different bookmakers regularly. Make some money off each of them instead of trying to win off just one. This will give you more chances of your winning bets going un-noticed. You might also want to stick to the same kind of bets. For example, are you going to bet on English football and the big European leagues? If you are then suddenly wagering on obscure tennis matches and foreign golf events can raise suspicions. It is generally best to stick to big, high profile events that lots of punters are tempted by. Big horse races like the Grand National and Champion’s League matches get a huge number of bets placed on them. You are unlikely to stand out in this way. Try and avoid betting with weird amounts of stakes. Sometimes, the matched betting software will tell you that the ideal bet is something like £10.23 or £16.87. This is fine, but it doesn’t mean that you need to make that exact bet. Just round up the suggested bet to the nearest whole pound. Most punters don’t put on stakes with pennies at the end of it. Neither should you. Timing is one of the most important elements of matched betting. In some cases the offers are extremely time-limited. This means that you need to place the wager at a certain time or risk losing the opportunity. However, if you always bet well in advance of events it might trigger a bookmaker investigation into your account. They could see that you are basically working through a list of offers at certain times of day or days of the week. So, what do regular betters do? This is what you want to emulate, after all. Well, a normal punter will often impulsively bet in the run-up to the game or race. Maybe they place their bet just as it is about to start on the TV. Try and mix up your betting habits. If you always place a pile of bets on Sunday evenings for the upcoming week then this might draw attention to you. Just try and act like the sort of punter who loves having a flutter from time to time. You might also want to see if the bookie has slots, tables or other types of betting. By sampling a bit of everything that they offer you can look more like a regular sort of customer. Of course, the ideal approach is to find offers that let you do this without losing money. Finally, try not to take out all of your winnings right away every single time. If you don’t urgently need the cash then try leaving some there for a while. This is what a lot of regular punters do. They know that they are going to be placing more bets and aren’t sure whether they will win or lose. So they might need those some of the winnings to carry on betting. With matched betting you are sure that you will win every time. Yet by taking out the winnings right away you might make this too obvious. Is It Possible to Get Ungubbed? What if your account gets gubbed eventually? Is there a way of reversing this so that you can get back to betting freely again? If you have enjoyed tremendous success with matched betting then you won’t want to give this up easily. The good news is that this is something that isn’t necessarily permanent. There is no need to think that you are gubbed for life, although that is a possibility. Yet, there is also some bad news. This is that there is no real way of knowing how to get ungubbed. There is no magic formula that will lead to the bookmaker lifting the restrictions on your account. You need to keep checking to see if your account gets put back to normal. This could take time. Yet, in the meantime you can carry on betting with other bookies instead. The real problems arise when you get several accounts gubbed. You don’t want to run out of places to bet. If you do get some restrictions lifted then you need to be more careful than ever before. For example, if you can bet any size of stake but can’t use free bets. In this case, you might decide to place a few mug bets to look as innocent as possible. I’ve made a list of strategies that work on gubbed accounts here. Having your account gubbed is a serious setback. But it isn’t the end of the world. If this happen then stay cool and get back in the bookie’s good books over time if you can. Having said that, the best approach is to be smart from the very start. Avoid drawing attention to yourself and this might be something that you never have to worry about. You’ll want to properly use your matched betting resources. And, secondly, you will want to structure your matched betting time so you’ll obtain the most profit for the time you spend. One way to do this is to sign up for a trial of Profit Maximiser. You’ll save time because you’ll be provided with all the bookmaker and casino offers that you’ll need. You’ll also be given the proper strategy needed in order to best use your bonuses. 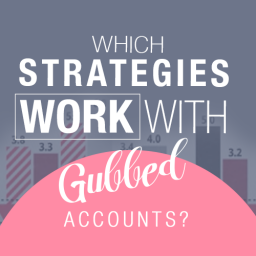 Which Strategies Work With Gubbed Accounts? We all know that the bookies don’t like losing money. A lot of them actually take action against profitable players in a number of ways. Read the article for more information!